Last year, the One Laptop Per Child (OLPC) organization made an experiment in two remote towns of Ethiopia, and the results were astounding. The group delivered boxes containing tablet computers, still sealed, to first-grade aged children who had never learned to read, without any instructions on what to do with them. Within days, the children not only opened the boxes but also found the tablets’ power-on switch and were using the preloaded apps without guidance. Within a week, the children were using the machines to learn ABC songs, and within months, they were able to breach the desktop security settings programmed by OLPC. This amazing capacity of the human mind to go beyond its perceived limits is the idea that fuels Acer’s campaign. Founded on the principle that technology is not just for the techie, the campaign builds on the company’s legacy of developing devices with a target user in mind, and adapting these tools to that user’s lifestyle, demographic, and even aspirations. Central to this campaign is the concept of the modern-day explorer, and how Acer and its products can spark the innate explorer in every person. “The new campaign direction is part of Acer’s continuous effort and commitment to create tools that will bring technology to a more relevant and personal use,” Acer Philippines Inc. General Manager Manuel Wong says during the company’s recent smartphone launch. Acer Philippines recently introduced its three new smartphones with the theme “Let’s Play Together” and working around the idea of the world as one vast playground that people can explore to their heart’s content. The company launched the Liquid C1, E1 and Z2 models, which sport high speed and capacity, a rich gaming and A/V experience, navigation features, and a phone simulation function for the not-so-tech savvy individual. “Our smartphones—one of which is a product of collaboration with Intel—are powered up to take your life with you, whenever and wherever you go,” Mr. Wong states. 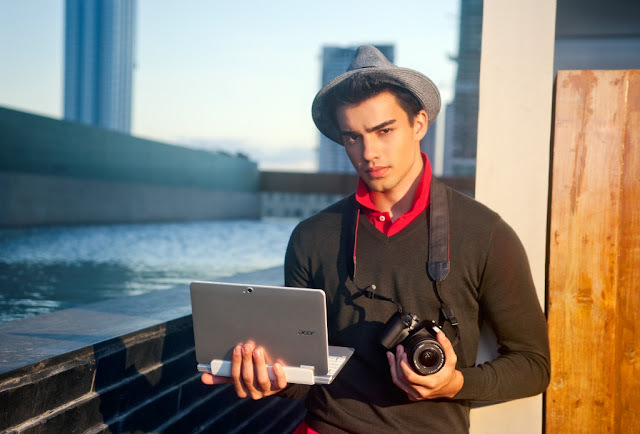 Acer’s gadgets, indeed, empowers human creativity and productivity. Powerful computing is no longer confined to the desktop, although desktop PCs continue to offer innovative programming in conjunction with mobile gadgets, which occupy most of the time of students, young professionals and top-ranking business users. Acer’s V5 notebooks, for instance, are powered by AMD’s advanced A8 and Radeon Graphics processors for smooth multitasking. Those into gaming can benefit from its multiple simultaneous display output and hi-fi gaming capabilities, while those who simply want some family fun may enjoy high-def 3D viewing at home or on-the-go. Key to exploration, of course, is connection. Acer cannot ignore the platforms that keep us all linked to each other, such as the operating systems that enable the applications we all love. 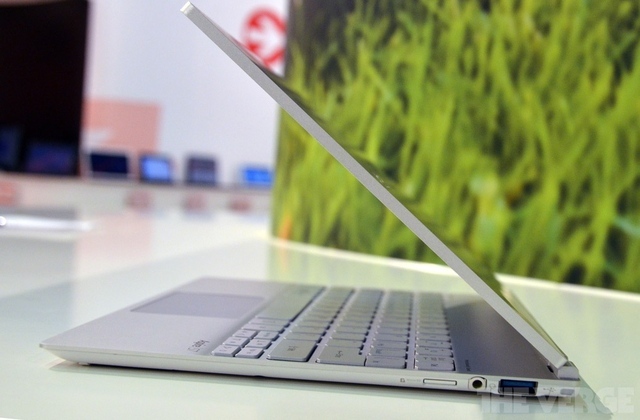 The Aspire S7 ultrabooks that run on Windows 8 have become thinner and lighter, yet support full HD and 10-finger multitouch. As user convenience is an important priority for the company, the devices have keyboards that provide ambient light for day and night use, and a cooling system layout that keeps the user’s lap cool. Another Acer offering that will ignite the innovator within is the Aspire U series of all-in-one PCs, which won the CES 2012 Design & Engineering Award for its one-piece polycarbonate stand in floating design. This particular line is for the tech-savvy yuppies who want to be the first to own state-of-the-art gadgets. It’s a home or workplace PC that can transform into a tablet or game console for whatever use you may have for it. It supports a wireless keyboard and mouse, touch technology, and even smart technology via the PointGrab software. It’s a true-blue all-in-one device. “These products are powered with features fit for modern day explorers who seek limitless fun, need power to accomplish work and personal tasks, want speed to create more, and aspire for uninterrupted connection to capture brilliant moments of life,” Mr. Wong reiterates. These modern-day explorers are what keep human progress constant and bring life to life. With products and programs that help them do what they do best, Acer salutes the modern-day innovators. world is so high tech na..so amazing device!